The Yorkie Poodle mix is the hybrid mix that resulted from crossbreeding Toy or Miniature Poodle Parents and Yorkshire Terrier. A total entertainer, you can expect the Yorkie Poo to be always out and ready for games and mischief. Affectionate and gentle, this is a type of consummate companion dog which requires being with the owner all the time. The good news is that the Yorkipoo is mostly small enough that it can easily squeeze into any spot to let you take your pet with you on your journeys. However, there are a few breeders that are now experimenting with creating bigger puppies than the usual. But, no matter what the Poodle parent’s size might be, Yorkie Poo dogs still inherit its low-shedding coat, a characteristic that most dog owners prefer. Believe it or not, Yorkie Poos are unaware of their diminutive size, and this is why they are often in trouble with larger dogs, mainly because these small canines have a brazen attitude combined with the tendency of barking when they sense danger. And as far as barking is concerned, you will surely be surprised to know that it is one of the unique talents of the Yorkie Poodle mix. It might be an issue for your neighbours although the fact that they are barking often means that there is an intruder in the area that everyone within one-quarter of a mile is not even aware of. The Yorkipoo is a very intelligent breed that can learn quickly, which means that experienced pet owners will not have any issue in training them. They are also adaptable enough that they can suit a more sedentary lifestyle or even canine sports. Just like any hybrid, Yorkie Poodles can also inherit the health issues of their parent breeds even though they are often a healthy canine. Despite the limited information, this hybrid is expected to grow and enjoy its life to as much as 12 to 14 years. 1. Where Does the Yorkie Poodle Mix Come From? 2. What Clubs Recognize the Yorkie Poo? 3. 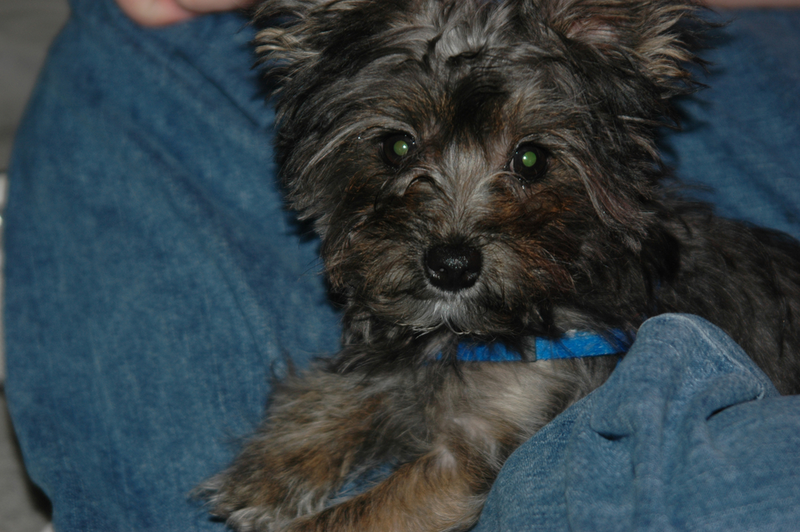 What Does a Yorkipoo Look Like? 4. What is the Temperament and Character of the Yorkie Poodle? 5. How to Train Yorkie Poodle Mix? 9. 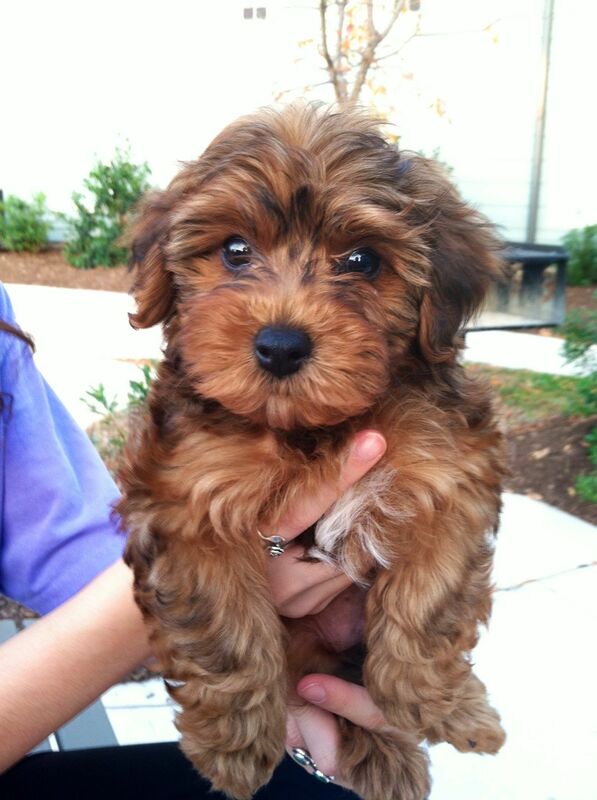 Is Yorkie Poodle Mix a Perfect Pet for Your Needs? There is no sign that the existing trend of creating designer dogs will slow down any time soon, and the Yorkie Poodle mix is one of those recently added to the group of hybrids. Similar to most of the latest hybrids these days, the Yorkipoo was originally bred and marketed in the US, possibly not over 15 years ago. However, no one is sure as to when this breed was exactly created. Thanks to the rising popularity of Labradoodle, Cockapoo, and the rest, the public’s attention has now shifted to the Poodle hybrid. Even though the original reason for creating these crosses was to produce low shedding and hopefully less allergenic canines, the exceptional intelligence of the Poodle carried through as well, which makes these dogs even more attractive to the eyes of pet owners. But, how can this low-shedding and smart dog bred to be smaller with better adaptability to an apartment lifestyle? The key answer is to find an equally intelligent small breed, and for this, the Yorkshire Terrier was considered as the best option. The temperament of the Yorkie seemed like the best counterbalance to that of the Poodle as they exhibit the usual independent streak of the terrier to soften the absolute dependence of the other parent on its owner for comfort and companionship. Since the Yorkie Poodle mix is a relatively new type of hybrid, there is still no immediate potential that it will become a recognized breed, with the majority of Yorkipoo puppies being sold right now are first generation crosses of the two pedigree parents. The American Kennel Club still doesn’t recognize the Yorkie Poo right now. Future developments that require numerous generations of Yorkipoo to Yorkipoo breeding might be needed to reach this form of recognition. However, it has already been accepted as a canine breed by the Designer Dog Kennel Club, American Hybrid Canine Club, and the International Designer Canine Registry. Since there are two varieties of the Poodle parent, namely Miniature and Toy, there is a significant deal of variation in both the temperament and appearance of the hybrid. It is usually said that there are no two Yorkipoos that are alike and there is a good reason for that. Even though most of the descriptions you read here should be taken with a pinch of salt because the Yorkie Poo doesn’t really have a so-called breed standard, it is still fair to claim that the breed is a very small one. The average Yorkie Poodle mix weighs around 3 to 5 kilograms or 7 to 11 pounds, with a height of 18 to 23 centimetres or 7 to 9 inches. They usually have a touch of the legginess of the Poodle, and can also be a bit fine-boned. Majority of this breed have a slender head with expressive and dark eyes and a gently tapering muzzle. Their body is often muscular and slim, and the back’s length is approximately equivalent to its height at the withers. Their coat is extremely variable in appearance which can range from curled to straight but it is often slightly silky and light in texture. The Poodle mix tends to come in an extensive array of colours, although when it comes to the Yorkie Poo, the most common ones include white, black, red, cream, apricot, and sable. Aside from the range of the base colours, the marking patterns and colours are also unique to every dog, with the coloured points and patches giving the Yorkie Poodle mix an infinite of array of costumes that can be seen in. The Yorkipoo is known for their genuine lust for life as they seem to see even the smallest dose of fun in every single day. It’s a very affectionate hybrid and would feel deprived if you’re not able to spend each minute with its people. Since it is very playful, Yorkie poo mix makes a good playmate for some kids, yet it’s too fragile and small to be considered as a pet for young children. Isolation is the greatest fear of this dog mix, and it would bark incessantly or even destroy everything in sight once left along for several minutes, so it’s not a dog for home in which everyone is out the entire day because of work. Even if it’s a great watchdog, it is very sociable when it has had an opportunity to meet strangers and would do its very best to be the center of attention when there is a company. But, like with the looks of this dog mix, the temperament of Yorkie Poo actually differs from one another as some would have Poodle and Yorkie traits to a lesser or greater degree. For those who want to know more about this dog mix and forms it could take, it is recommended to read up on both parent breeds for you to ready for all eventualities. More often than not, Yorkie Poo is easy to train. The responsiveness and eagerness to please of this dog will help you when training it. But, it’s essential that it isn’t pampered excessively as its cuteness, and small size may result in being seen more like a doll instead of a dog and it could be a small tyrant once given a chance. Early socialization and training are crucial for any dog. This would also ensure that your dog will recognize you as the owner and would teach it with the right approach to meet some dogs. Aggressive or excessively bold behaviour toward a big dog breed can be disastrous for a Yorkie Poodle mix with the wrong attitude, and the majority has an attitude in spades. Legg-Calve Perthes Disease – It’s the degeneration of upper thigh bone in puppies that are rapidly growing, which causes severe pain in hip joint. To treat this, it involves surgery for normal function. Dental Disease – Both of the parent breeds are prone to retention of deciduous teeth and dental overcrowding, which allows the buildup of tartar from an early age with ensuing tooth loss and periodontal disease. Preventative oral care is essential in a vet clinic or at home for all Yorkipoos. Tracheal Collapse – The malformation of the main airway, especially common in the Yorkies, which causes a harsh cough, particularly when pulling or excited on the lead. Von Willebrand’s disease – The clotting disorder is because of inadequate platelet function. It’s seen as excess bleeding after the minor injuries. Portosystemic Shunt – Liver failure as a result of anomalous blood vessel bypasses normal hepatic circulation. Patellar Luxation – Lack of bony support and soft tissue for kneecap could make it slip out of the position intermittently. This causes skipping gait and might result in early-onset arthritis. Lens Luxation –The displacement of the eye lens into either posterior or anterior chamber causes loss of vision. It also predisposes to glaucoma. Hemorrhagic Gastroenteritis – Serious diarrhea and bloody vomiting, frequently precipitated by stress like a change in diet or kenneling. 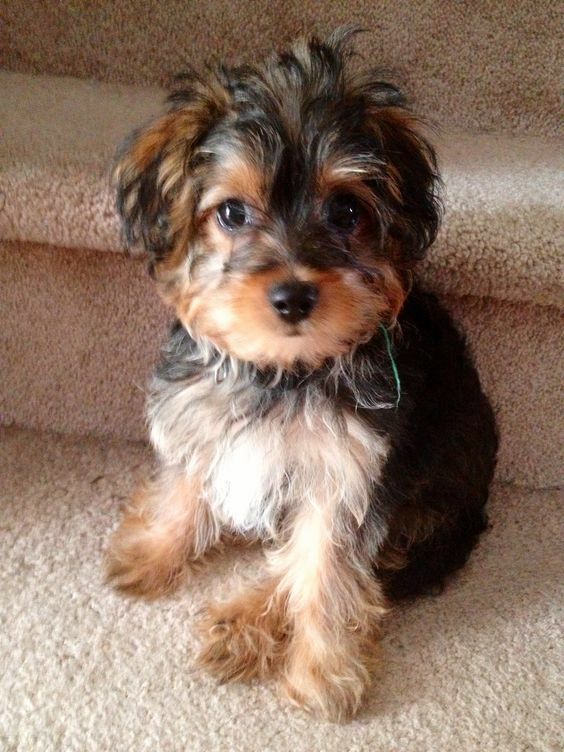 Yorkie Poos can exercise within your home as they’re always ready to chase their toys down or up the hallway. But, lead walking is a good way for a dog and owner to build their bond and to enable both to socialize with some walkers and dogs. For mental and physical stimulation, you must allow at least thirty minutes to outdoor activities daily. This dog mix must be fed a diet of premium quality dry kibble. However, they could be finicky eaters. A small amount of canned foods could be mixed into the dog’s kibble to convince him to enjoy eating. Without the dry food, Yorkipoo has a potential to develop tooth loss, bad breath, and gum disease. Regardless of the type of coat that your Yorkie Poodle mix, it’ll need some commitment from the owners to maintain. Since the hair is a bit light as well as grows to better length in a majority of individuals, it must be detangled and brushed daily. Bathing monthly is recommended, yet should be done using a dog-friendly shampoo and the professional grooming services every 2 months would keep the manageable coat of your dog. Since Yorkie poo is a light dog that does not exercise vigorously, it’ll also have its nails cut every several weeks. It could be done at home with topnotch quality purpose-made nail clippers, yet care should be taken not to cut in sensitive quick, which runs down the middle of every nail. 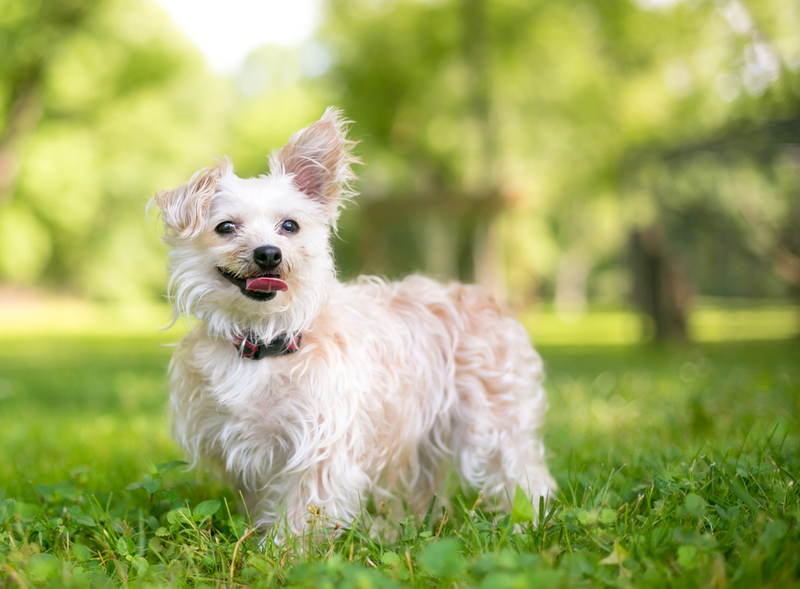 Yorkipoo is also prone to some dental issues, and brushings are necessary. Again, it must be done with a paste that is formulated for dogs and must be introduced as early as possible to your dog. If you like a small dog with a hypoallergenic coat and can play with you during your free time, a Yorkie Poo is right for you. However, once you decide to own one, you should visit the breeder with due diligence. Ask many questions if possible to get more information about the parents and the documents of your preferred Yorkie Poo. With proper knowledge about this dog mix, you’ll be able to know if this dog is something that you should bring home.